Gardening can be a wonderfully rewarding pastime, but for those who superbly dedicate themselves to the activity, it can become much more than that: a lucrative, fulfilling career. There are many opportunities in this field that can earn its participants a stable income. 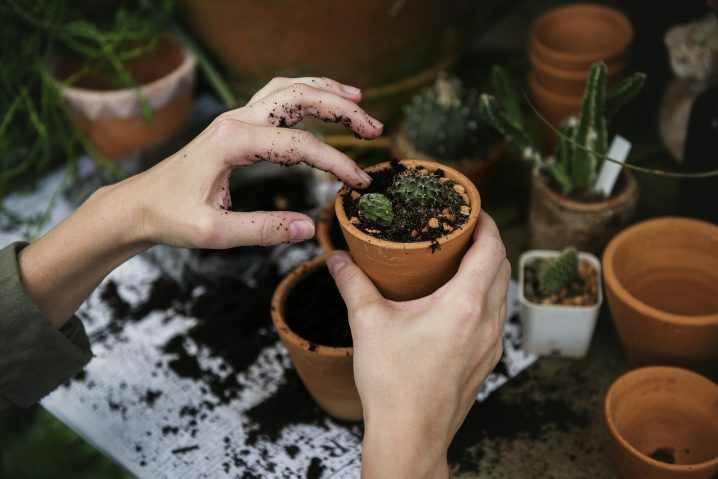 If you feel that you’ve always had a green thumb and now would like to take your skills to the next level, then you should certainly consider a career in gardening. If you think this path may be a perfect match for you but you don’t know where to start, then keep reading for insightful information about everything you need to become a professional gardener. The only education that is absolutely required to become a professional gardener is a high school degree. However, to really make yourself competitive you may want to think about pursuing a degree in horticulture or landscaping. More and more people are entering the industry with advanced degrees. It is becoming increasingly important to consider higher education to stand out from the competition. If you don’t have the time or money to complete a bachelor’s degree program, then at least think about earning an associate’s degree or certificate. Any education you can achieve will significantly improve your chances of landing reputable and profitable jobs. Aside from formal education, there are other avenues you can explore to gain expertise and knowledge in the field of gardening. Try attending classes through local organizations or botanical gardens to increase your public standing and enhance your reputation. Achieving Master Gardener status could also help your career immensely. It is important to note that some states require gardeners to obtain a pesticide application license. Even if you take classes and get a degree, nothing compares to real experience in the field (in this industry that colloquialism can be quite literal). Try apprenticing a local professional gardener or at least shadowing them so you can see first-hand which techniques work. Even volunteer work can help you to gain skills while enhancing your visibility in the community. The more you experience things yourself, the more knowledge you will be able to apply to future situations and problems. Once you know what you are doing, you will definitely need to invest in the right equipment. Depending on what type of gardening you engage in you will need different specialized equipment. For instance, if you are going to work on a large scale, you may need things like a lawnmower and chainsaw. Many professional gardeners have been happy with this 455 rancher chainsaw. However, if you think you will be working on a smaller scale, then it may be more advantageous to invest in shears and clippers. Gardening is hard work; it entails long hours in the hot sun. It is not a profession for the faint of heart or the infirm. It also can require some heavy lifting and physically demanding labor. Make sure that you understand the full scope of the profession before attempting to engage in this challenging occupation. Additionally, it may take some time to build your reputation in the field. Do not give up. Gardening businesses are primarily built through referrals so focus on making great connections with your first clientele. If they are satisfied with your work, then they will become a repeat customer and will also be more likely to tell their friends, before you know it your business will blossom. Few children in preschool when asked what they want to be when they grow up answer confidently with gardener. Many will say construction worker or lawyer; however, for those who have a passion for cultivating life, it can be the perfect occupation. Hopefully, the above tips will help you to jumpstart your career in this growing industry. If you work hard and stay motivated, anything is possible!